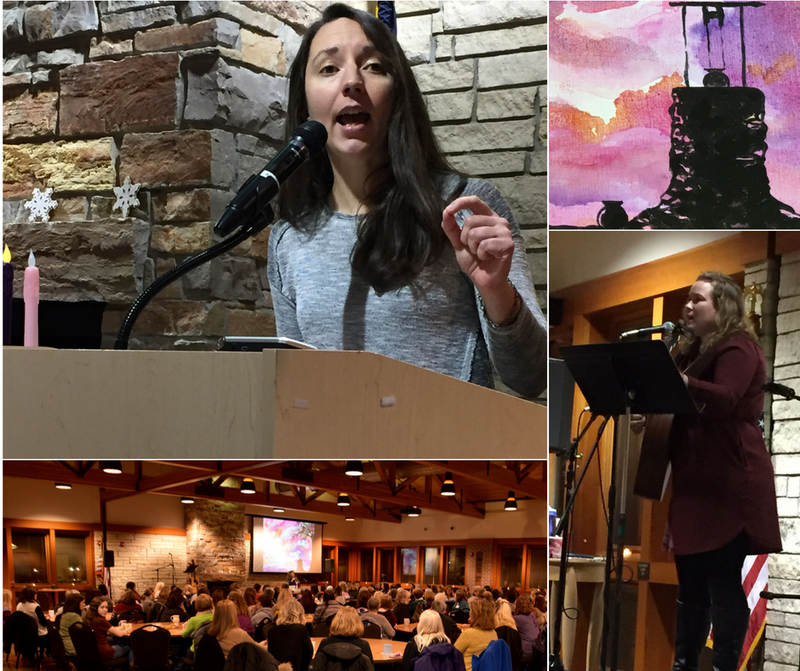 To the 160+ women who came out on a cold night during a busy season for Advent at The Well, thank you! To those who couldn’t attend due to other obligations, we missed you. Here are a few bits and pieces from the evening. Was Katie Patrizio’s talk recorded? Yes! Katie’s talk was recorded and can be listened below or through the SoundCloud app, available for download via iTunes or Google Play. Another popular question: What is the name of the book Katie referenced in her talk? It’s Searching for and Maintaining Peace: A Small Treatise on Peace of Heart by Father Jacques Philippe (a great stocking stuffer?). Emily Schmid provided a beautiful soundtrack during our event. She shared a one-line prayer that resonated with many: God grant me the grace to respond to your call to love.